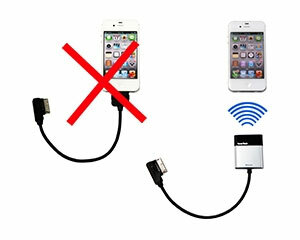 Wireless connection with Apple device via special Bluetooth technology with automatic reconnection. You can still keep connected with the original or aftermarket Bluetooth handsfree devices while in connection with tune2air at the same time. WMA3000 Wireless Bluetooth Music Adaptor for Audi Music Interface port, Mercedes Media Interface port and VW’s Original iPod Integration. Powered by high quality CSR BlueCore5 Bluetooth module. Advanced wireless music technology which enable it to communicate with certain models of Apple’s iPhone, iPod Touch and iPad. Bluetooth V2.0+EDR compliant, Bluetooth V2.1 ready. 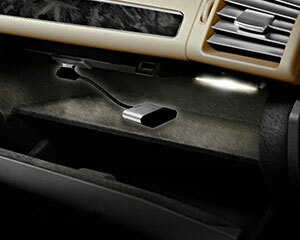 Compatible with Audi, Mercedes and VW with multimedia ports for optional iPod. We are an authorised ViseeO distributor which can be confirmed with the manufacturer and is recognised by the unique logo. We can therefore offer unrivalled technical support and our stock is genuine UK and Europe stock. We also run the website www.viseeo.uk.com so you can be assured of our dedication and experience with ViseeO products. Our staff are available to assist either by telephone or email with any questions you may have. Unlike other sellers, we are also able to offer a 12 Month Manufacturers Warranty, meaning that if your ViseeO unit develops a fault at any point during your first year of purchase you will be covered.